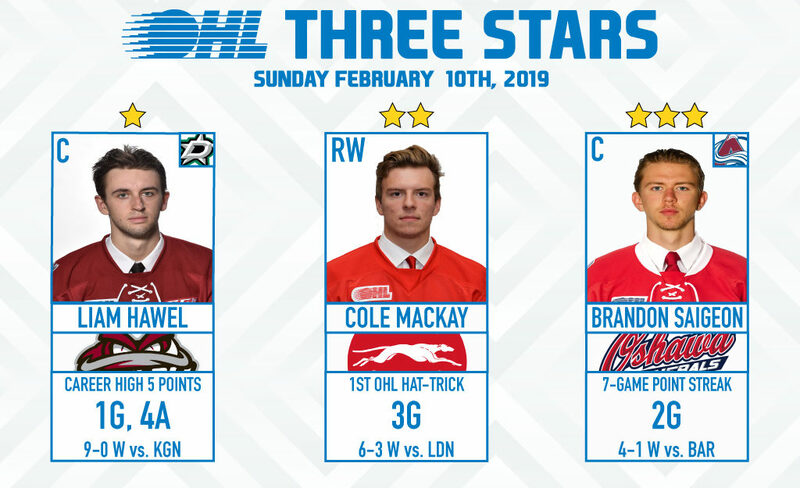 Dallas Stars prospect Liam Hawel recorded a career high five points, powering the Guelph Storm past the Kingston Frontenacs 9-0. 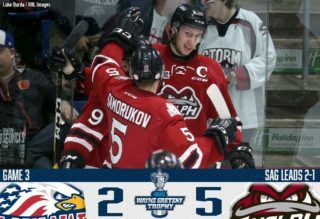 The 6-foot-5, 182Ib centre continued a six game point streak with a goal and four assists as the Storm climbed to within four points of third place in the Western Conference. Hawel has points in 13 of his last 14 games and a total of 64 (31-33–64) over 51 games. The 19-year-old from Arnprior, Ont. was Dallas’ fourth round pick in the 2017 NHL Draft. 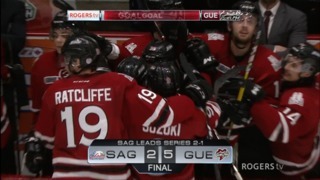 Cole MacKay‘s first OHL hat-trick helped the Soo Greyhounds clinch a playoff spot on Sunday, defeating the visiting London Knights 6-3. The sophomore winger scored all three of his goals in the second period, doing so in a span of 8:32 as the Hounds pulled to within four points of the Knights atop the Western Conference. MacKay has 49 points (22-27–49) over 50 games this season and put together back-to-back three point contests over the weekend. The Sault Ste. Marie, Ont. 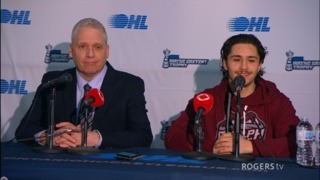 product was a fifth round pick in 2017 from the Kitchener Jr. Rangers Minor Midgets. MacKay is eligible for the 2019 NHL Draft. Colorado Avalanche prospect Brandon Saigeon scored his 34th and 35th goals of the season to lead the Oshawa Generals past visiting Barrie 4-1. 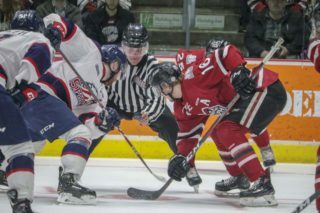 The overage centreman was also 11-for-17 in the faceoff circle and logged seven shots on goal as the Generals won for the fifth time in the past six games. 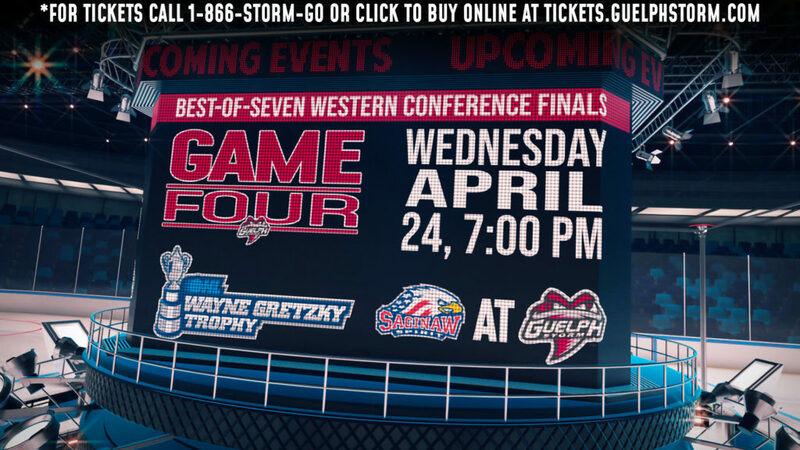 Saigeon is in the midst of a seven game point streak and has accumulated 82 points (35-47–82) over 54 games between Oshawa and Hamilton this season. The 6-foot-2, 193Ib pivot from Grimsby, Ont. is in his fifth OHL season and is approaching the 300-game milestone. He was Colorado’s fifth round pick in 2018 after winning an OHL title with Hamilton last spring.